Harloff's ETC Line Four Drawer Treatment Cart is designed to fit under a counter or sit at bedside for convenient, low-profile storage and use. The sturdy, uni-body steel construction makes the cart tough and reliable, and the 16 available colors come in a hard-baked powder coat finish that looks good and will last for years to come. 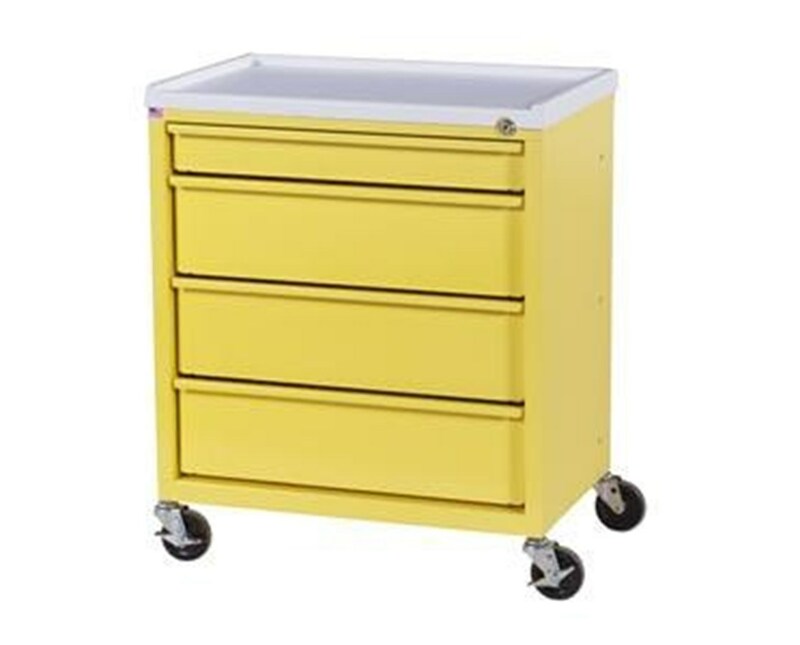 The cart features one 2.75" top drawer and three 5.75" drawers that operate on roller slides and have integrated handles. A key lock with two keys keeps the cart secure. 3" stem casters (two with brake) drive this latex-free treatment cart, and a removable plastic top provides an easily cleanable flat worksurface. Select your color (View Chart) from the drop down menu above and order online direct by clicking "add to cart!" 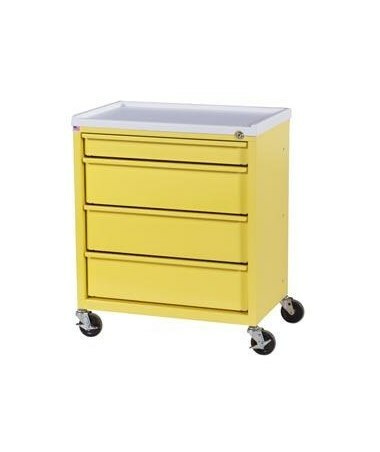 Number and Size of Drawers (1) 2.75", (3) 5.75"
This low height Cart is a unique Custom size and is not Returnable. We take the responsibility to make sure this product arrives in brand new working condition. Should your item arrive damaged, we will replace the product at no cost to you.